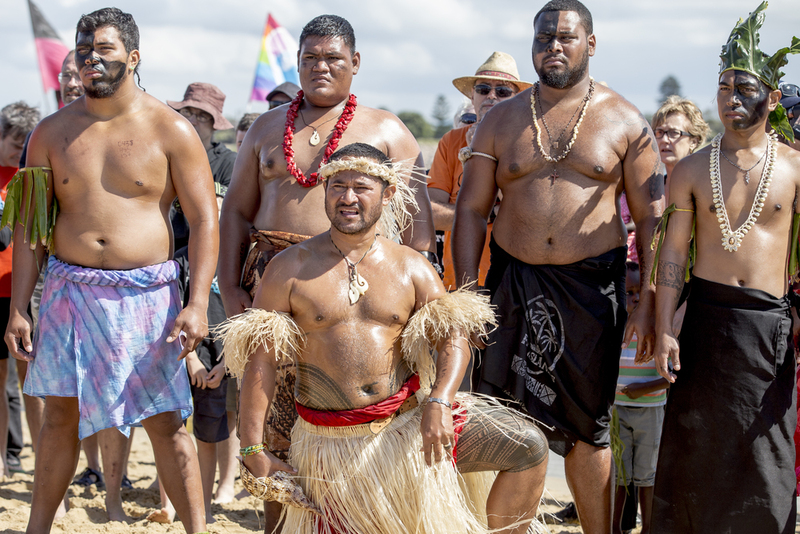 Join us for the launch of the Pasifika Indigenous Network launch. The event will be held in the Climate Generations Spaces at the Le-Bourget COP21 site beginning at 4:30pm on 3 December 2015. The address of this location is: Espaces Générations Climat, Parc d’expositions, Le Bourget, Paris, 93350. 'Firing up for Climate Change: Presentation at the Indigenous Pavilion - COP21! 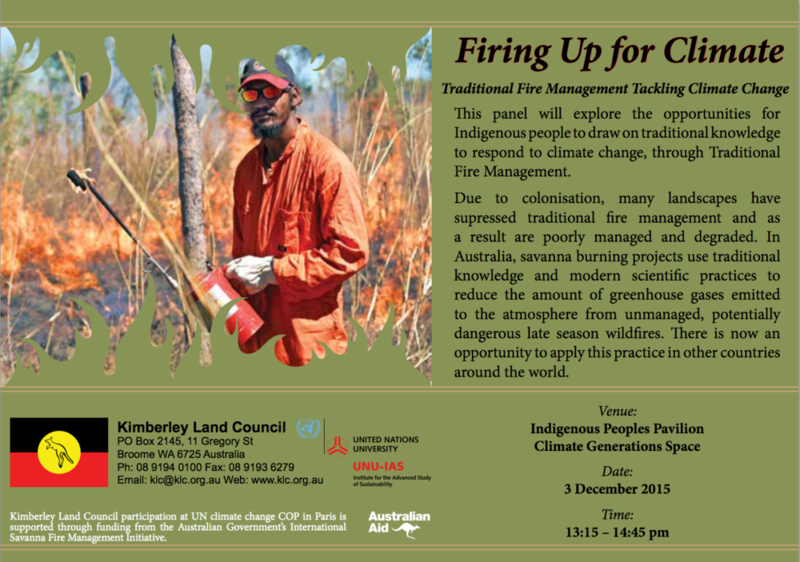 Join us at the Indigenous Peoples Pavilion at COP21 on Thursday 3 December, where the Kimberley Land Council and United Nations University will be sharing Australia’s experience on savanna projects with Indigenous people globally, identifying opportunities to leverage Indigenous solutions to climate change while building resilient Indigenous communities worldwide.